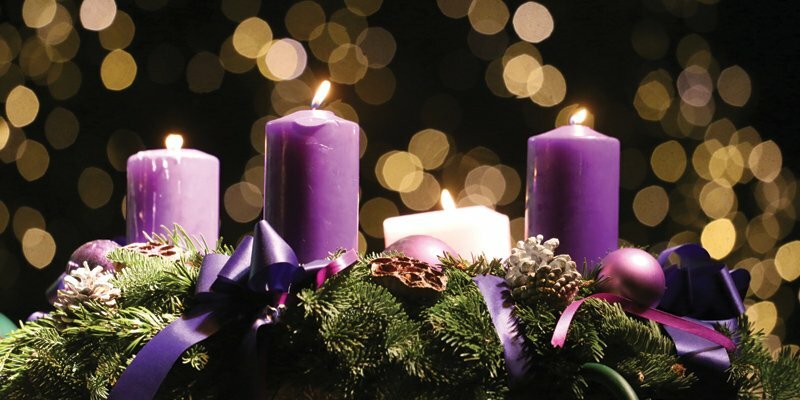 Advent begins Sunday, December 2nd! 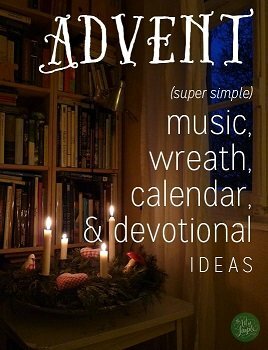 Click the image to see a list of ideas to help celebrate Advent! Join us for our 3rd annual young adult Christmas party! 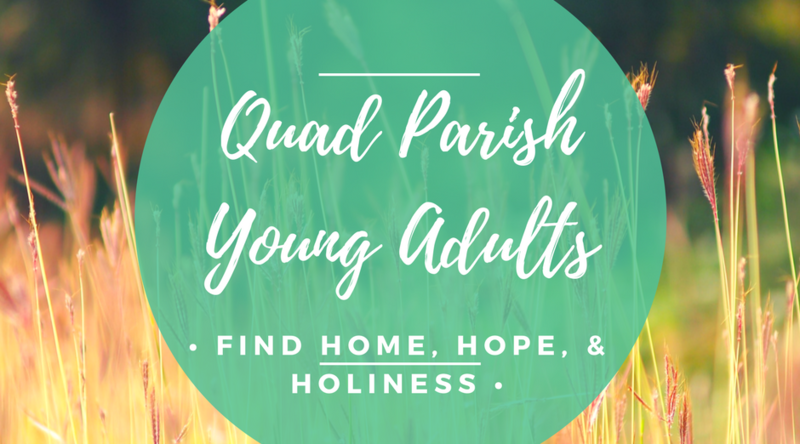 This year we are blessed to have Titletown Catholic and Door County Young Adults co-host with the Quad Parish Young Adults! 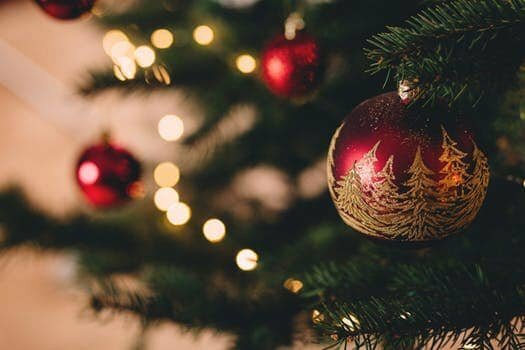 Join us for our third annual young adult Christmas party! If you didn't RSVP, please still join us! 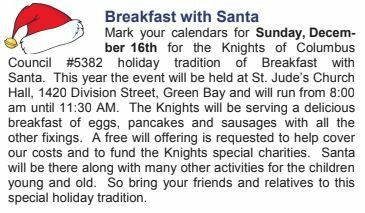 We won't be able to guarantee you a main course, but you can come for the festivities! We will once again be doing a gift exchange. 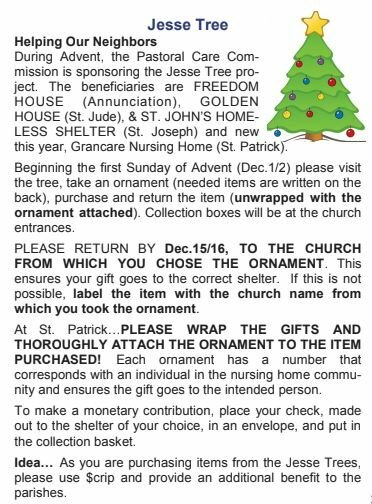 This year we ask that you bring a gift worth between $5-$10 as well as a brand new winter wear item (hat, scarf, gloves, etc.). These items will be donated to the NEW Community Shelter. 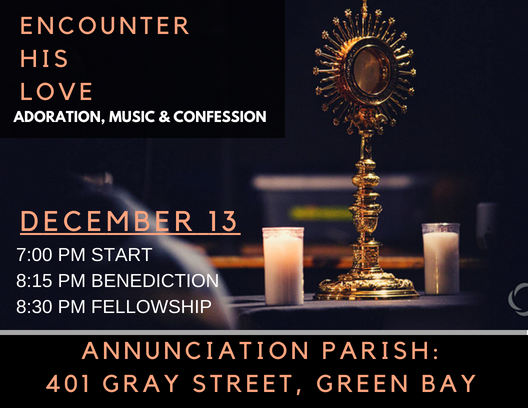 Come join us for a wonderful time with Jesus! 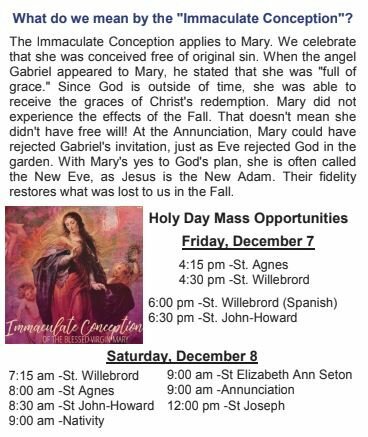 Join us for Mass and a meal! 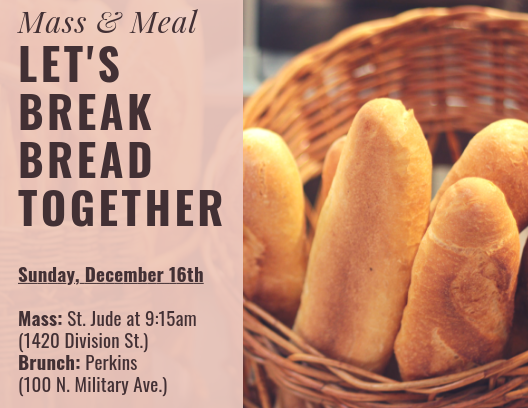 After Mass, we will meet in the back of church and head to Perkins. INVITE FRIENDS! We wanted to let you know that Kristin will not be able to make this, but Tim Singler will be your point person for this event.